For the Love of Perfection examines Richard Rorty's pragmatist philosophy for thinking about the aims and processes of liberal education. 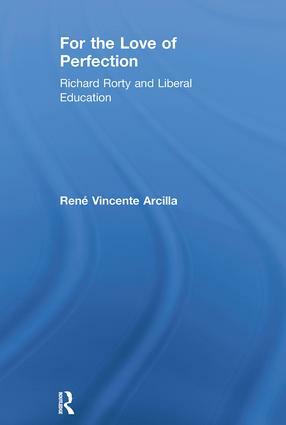 Offering a radical re-interpretation of the philosopher's arguments against metaphysics, René V. Arcilla demonstrates how Rorty's thinking may be re-envisioned to take greater account of today's multicultural society. René Vincente Arcilla is Assistant Professor of Philosophy and Education at Teachers College, Columbia University.